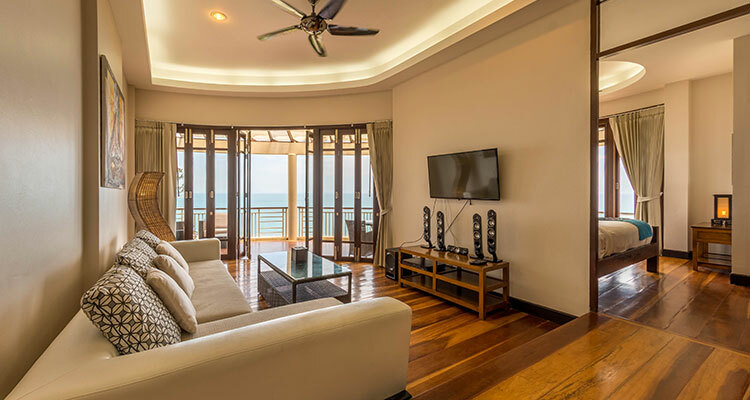 The Sea View 3 Bedroom Suite takes up half of each floor of the Sunset Hill’s Lotus building (130 m2). 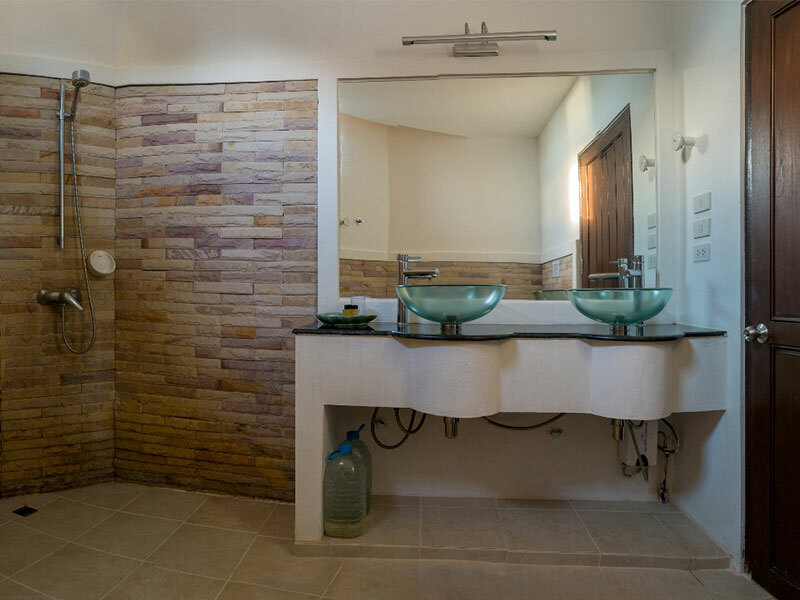 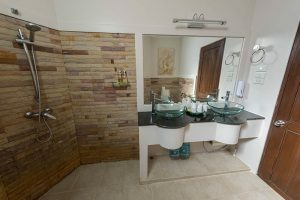 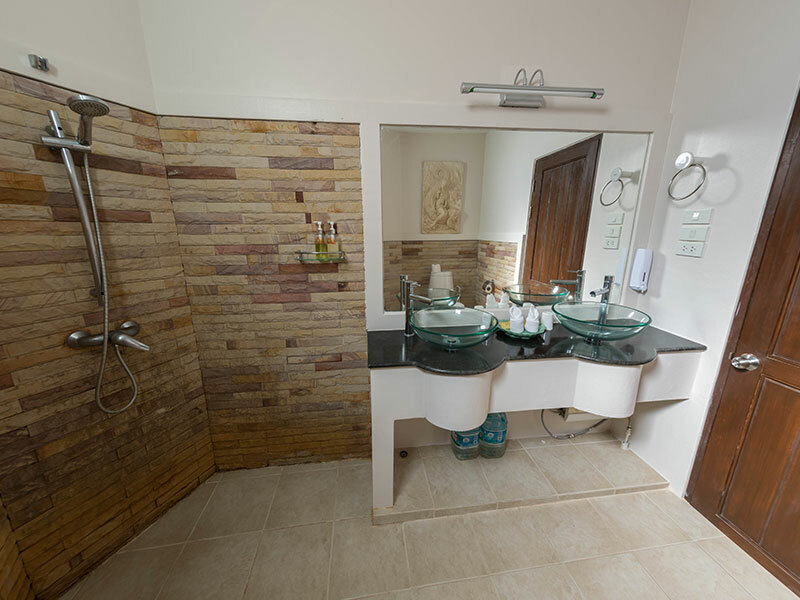 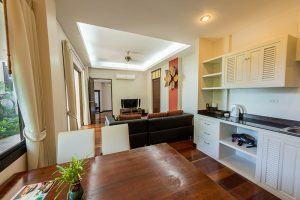 These very spacious apartments EW suitable for three to six persons and each has three completely furnished bedrooms and two bathrooms. 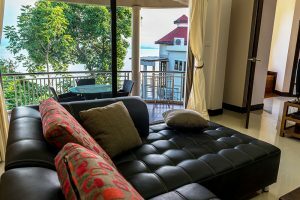 The penthouse has one front terrace and a very large side terrace which allows you to change the breathtaking view just by walking to the other side of the apartment. 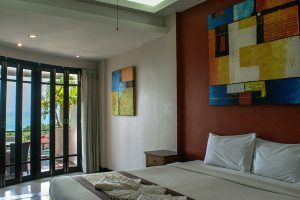 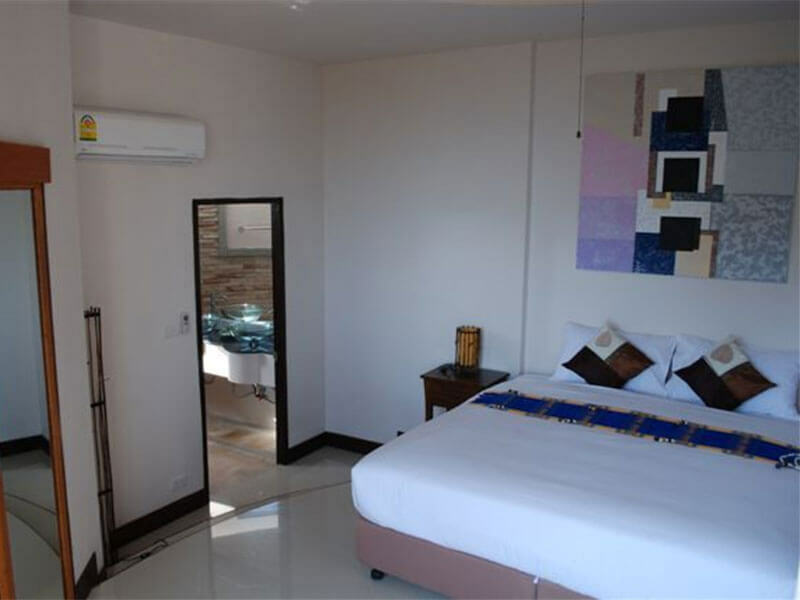 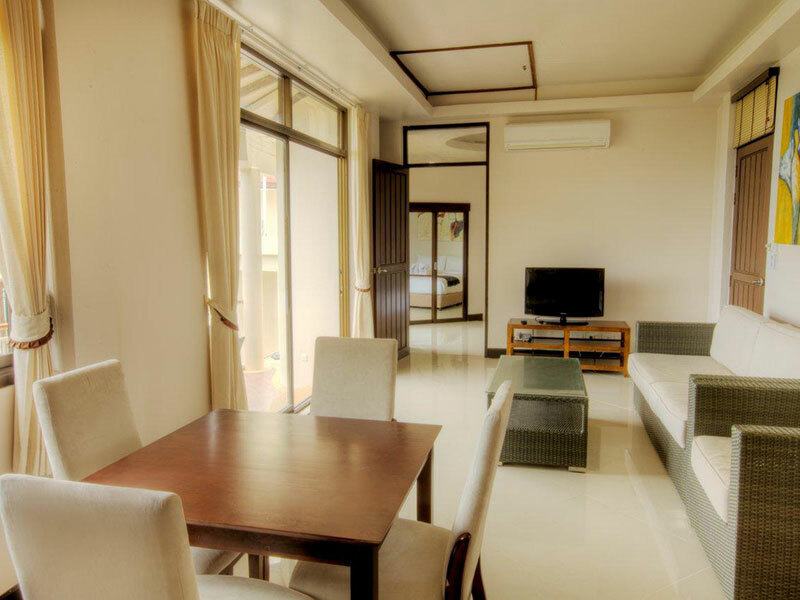 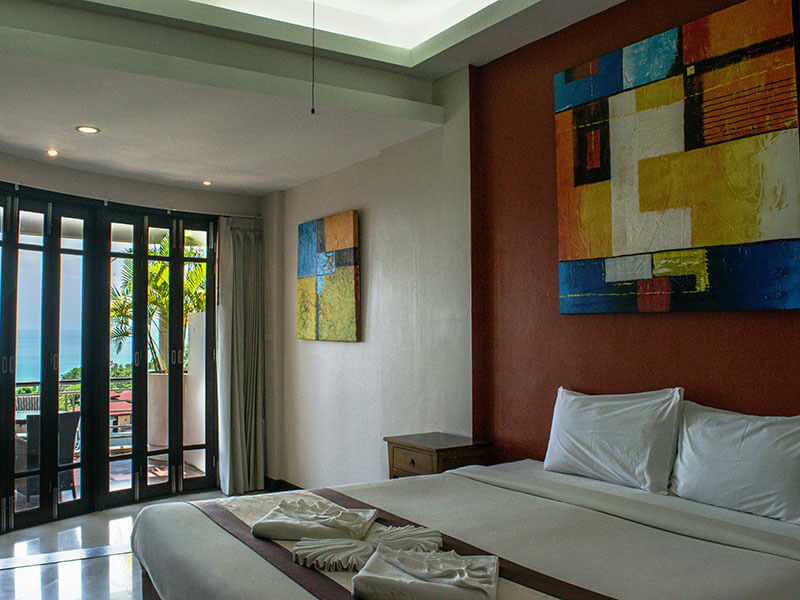 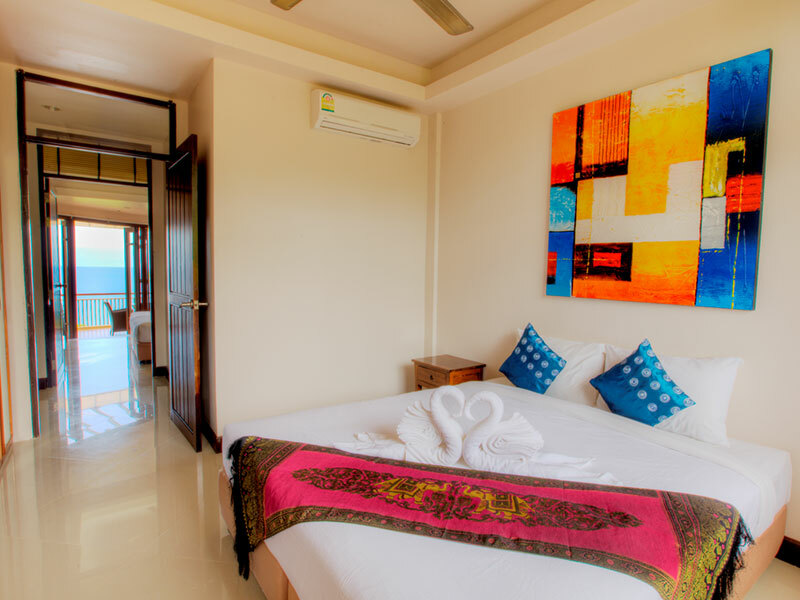 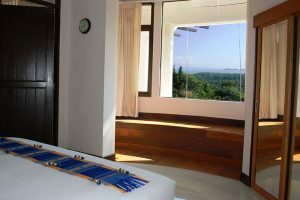 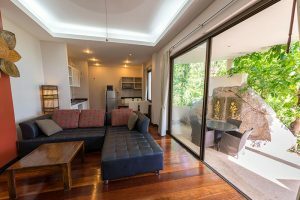 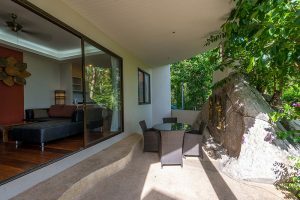 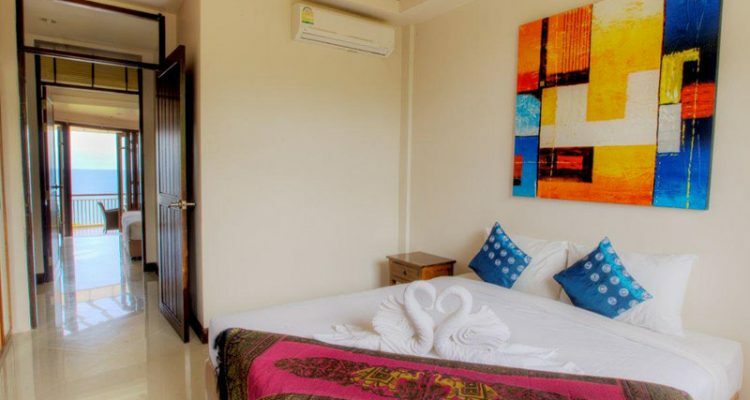 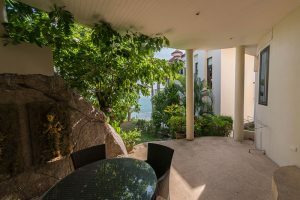 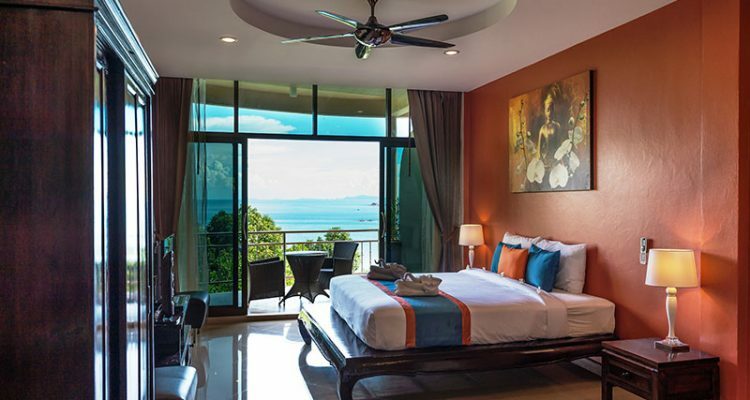 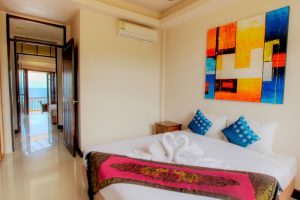 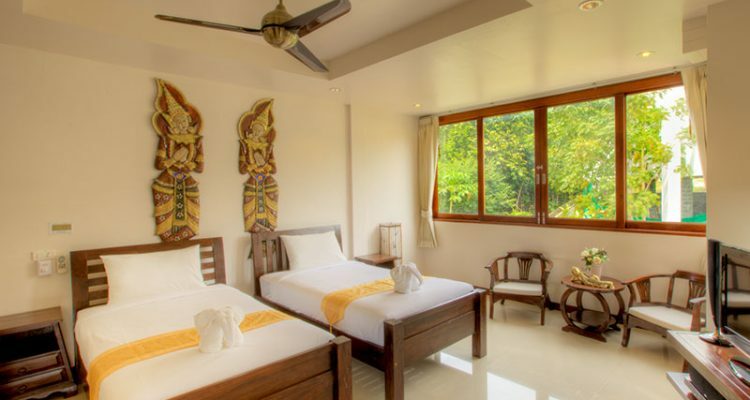 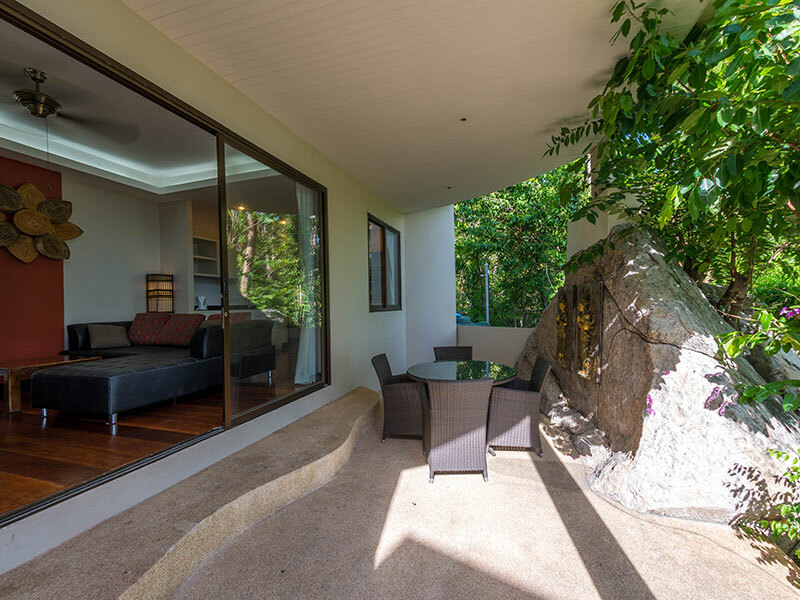 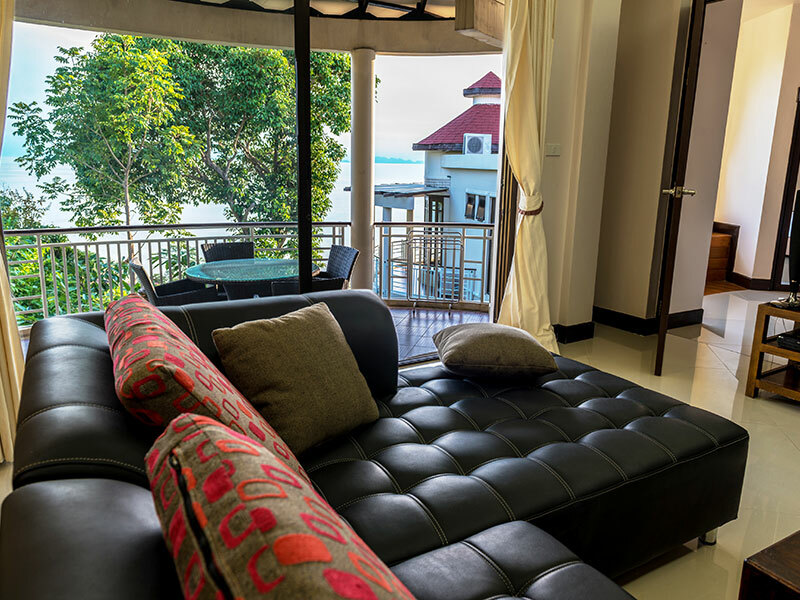 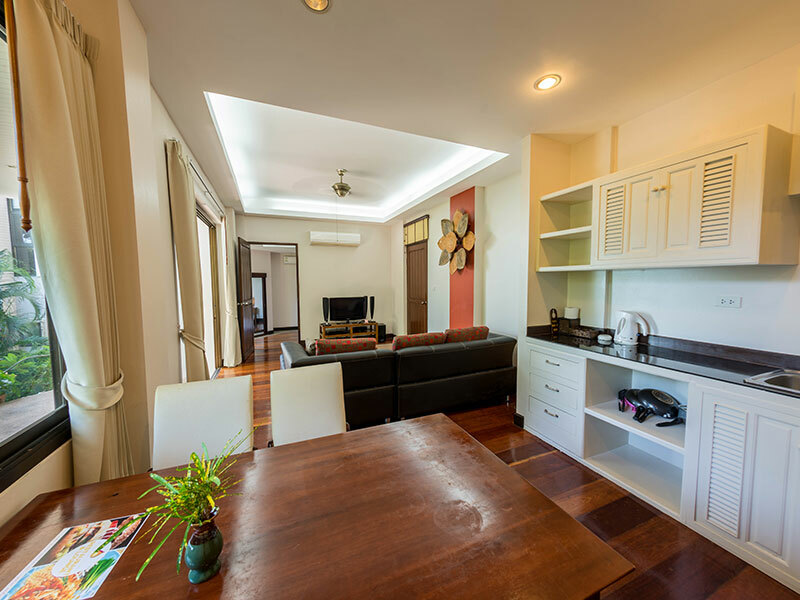 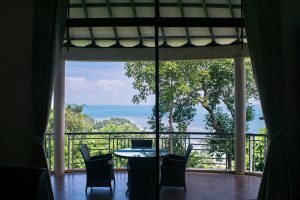 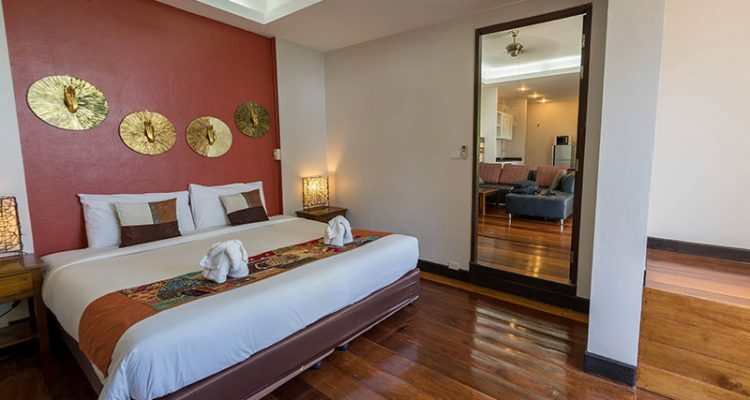 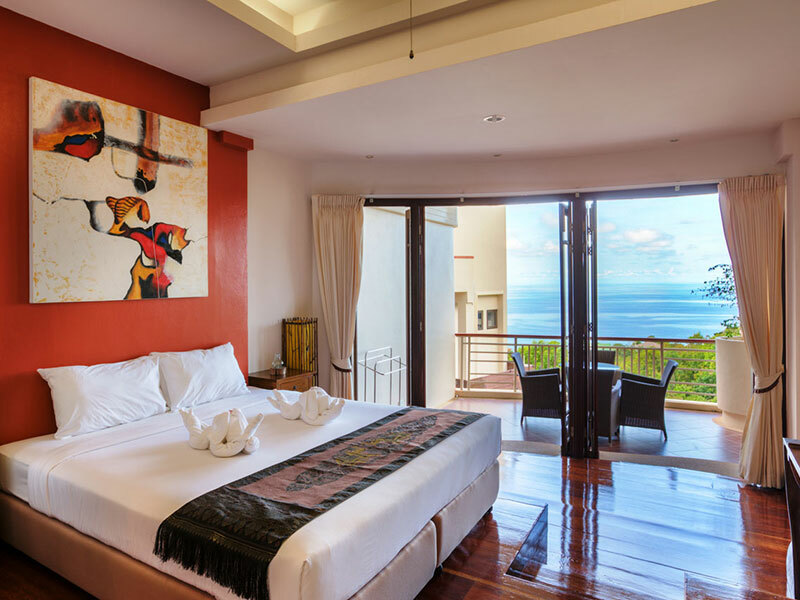 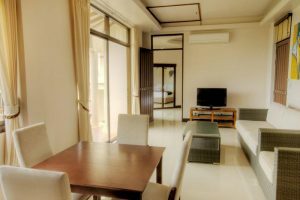 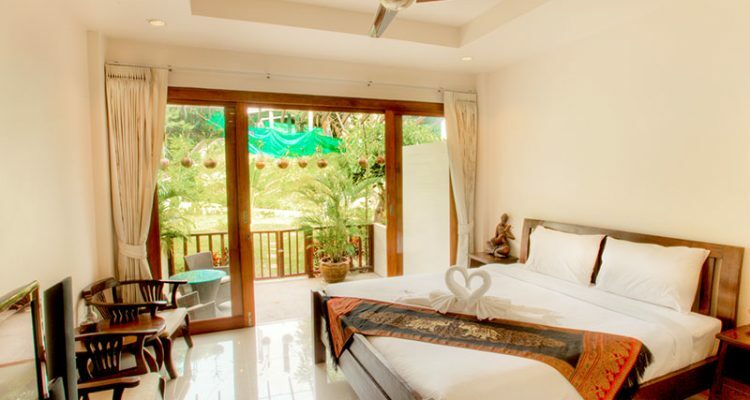 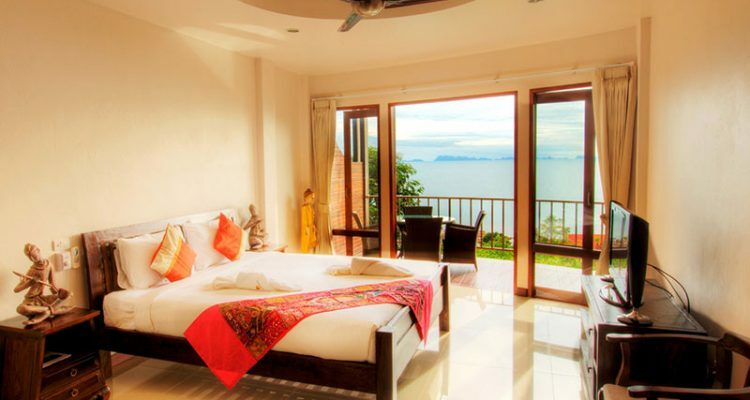 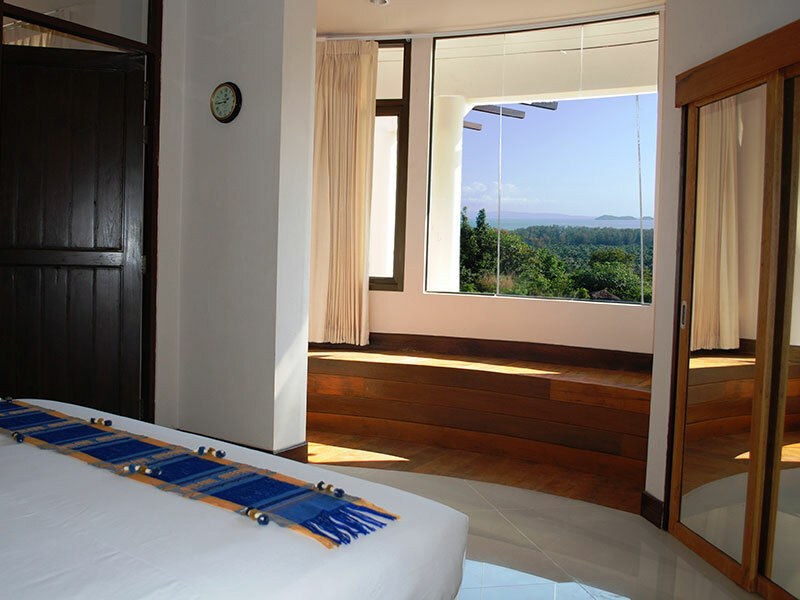 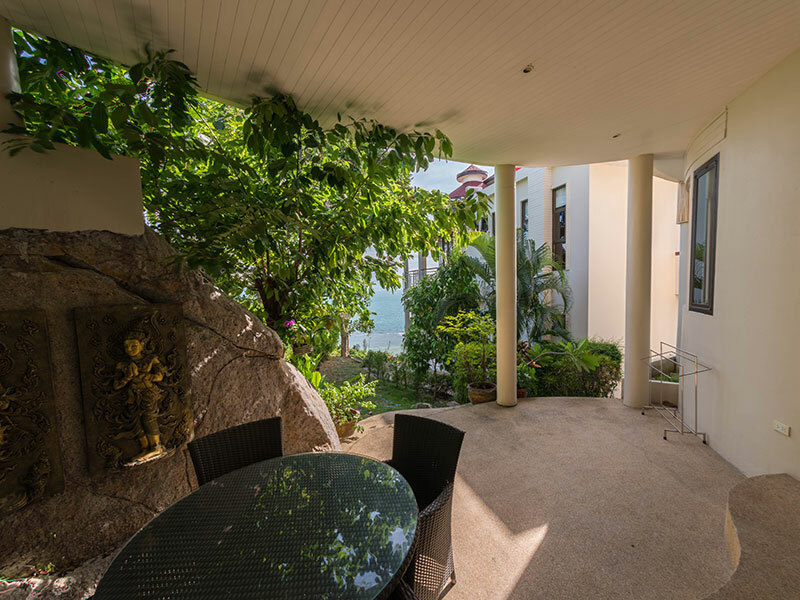 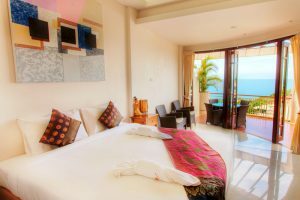 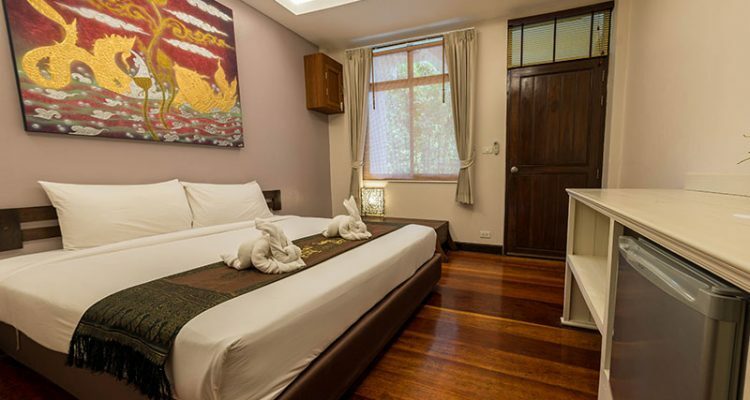 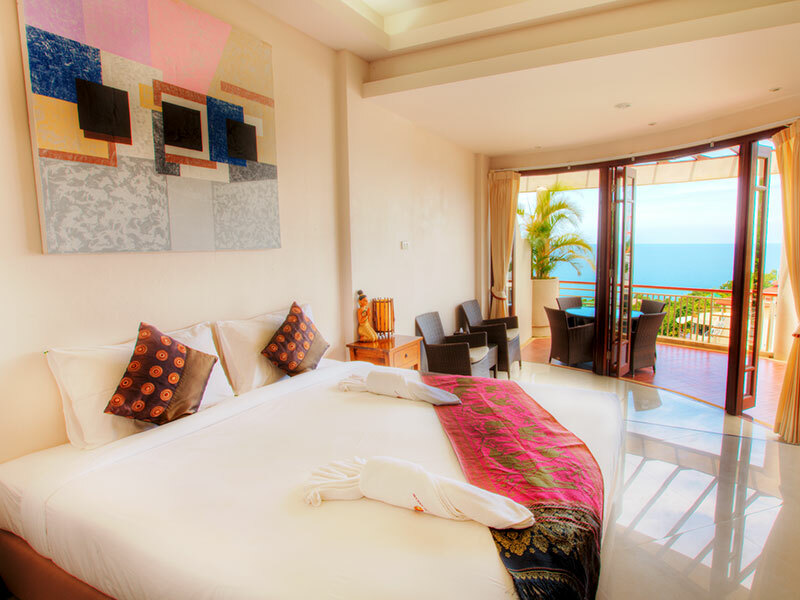 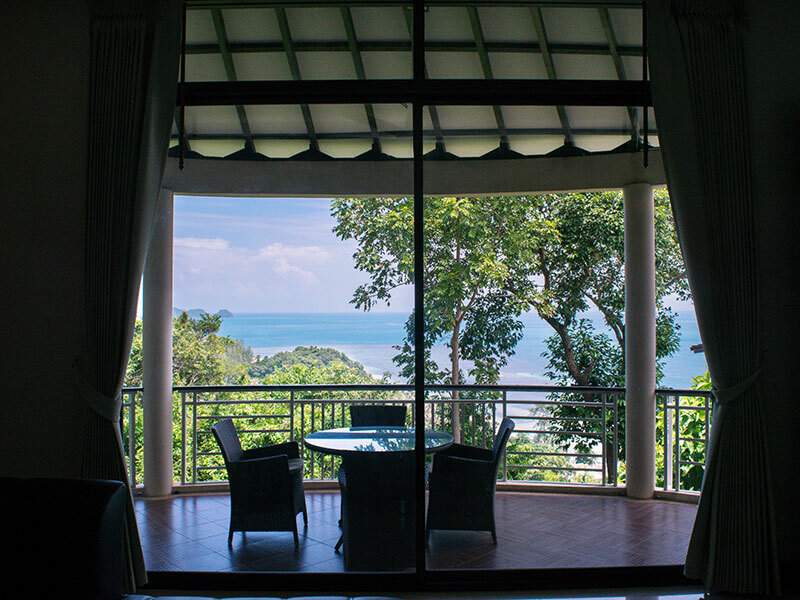 Both from the living room as well as from two bedrooms you have a partial sea view on the Gulf of Thailand and Koh Samui. 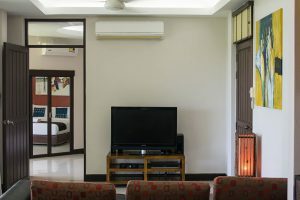 Each penthouse is equipped with a full kitchen with large refrigerator, dinette, electrical stove and a cosy lounge couch in the separate living room. 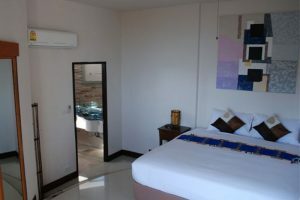 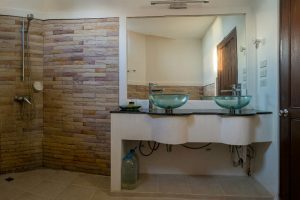 A flat screen television with DVD player and sound system are also present, and of course all rooms have air conditioning and fan. 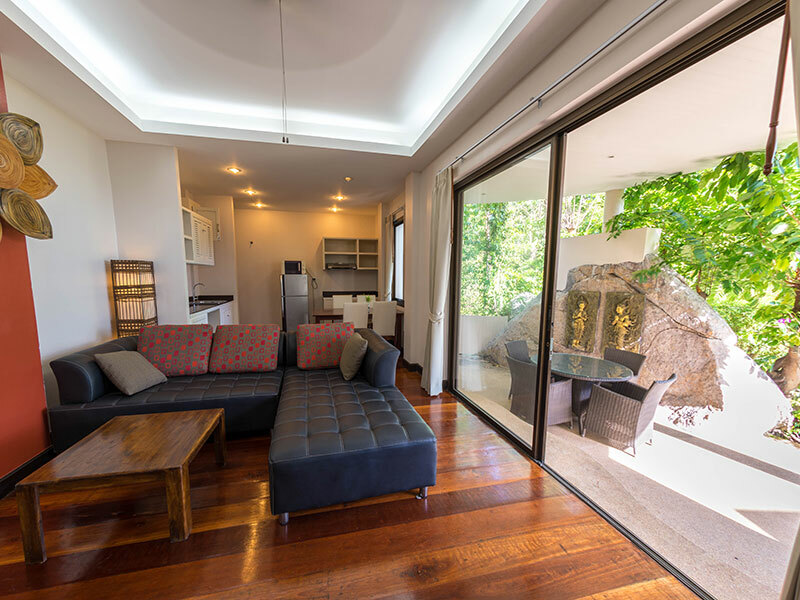 When opening the large glass sliding door you can extend the living room to the spacious side terrace which gives you the ultimate indoor-outdoor lifestyle. 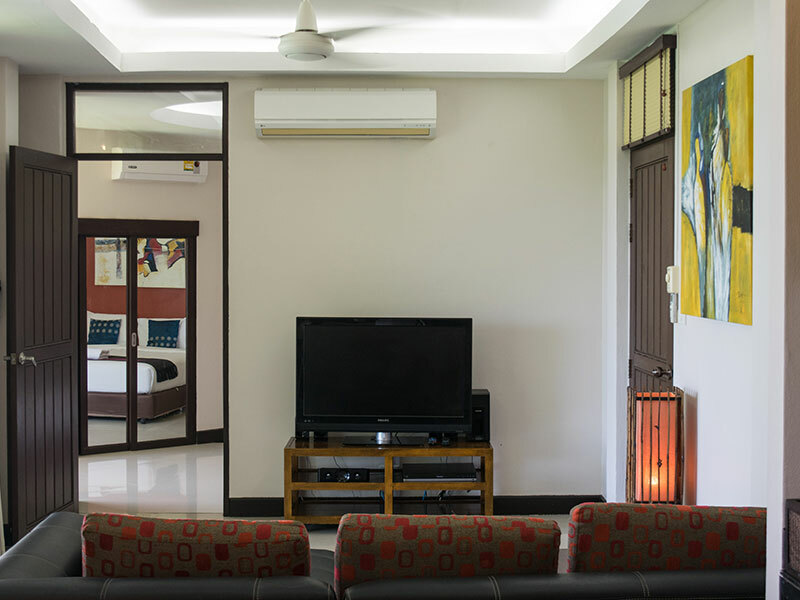 This apartment is ideal for larger families or a group of friends.